At Tuesday's first hearing in the case of Galvin et al. v. Boston Zoning Commission et al., Judge Christine M. Roach considered three motions by the defendants in the lawsuit: adding Boston College as a defendant in the case (plaintiffs were unopposed); whether the Boston College Task Force should be removed from the defendants in the case (plaintiffs opposed); and whether the whole case should be moved to land court instead of superior court (unclear plaintiffs position, but I suspect they were opposed). 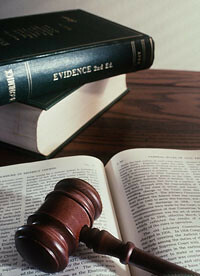 In the process of hearing the arguments about the task force's status as a governmental body, Judge Roach repeatedly offered up reasons why the attorneys could ask her to be recused from the case: first, that prior to becoming a judge, she was a commissioner in the State Ethics Commission in 2003-5; and second, that she has previously represented the City of Boston (although not the BRA or BZC) when she worked in private practice. It seemed to me that the judge really wanted to be asked to be recused from the case. It was as if she were saying: Please, please, will somebody ask for me to be recused? Here are all the reasons you could use to justify recusal! I won't be offended! Judge Roach's ethics background may be relevant because the defendants introduced an opinion letter on Monday -- marked "confidential" -- sent by the legal counsel of the State Ethics Commission that reaches a different opinion on the applicability of the state's Open Meeting Law from the Suffolk County District Attorney's office June 2007 advisory opinion. Violations of the OML by the task force are among the allegations in the lawsuit. The judge's previous litigation work for the city also may be relevant because two of the named defendants are city agencies (Boston Redevelopment Authority and Boston Zoning Commission), while a motion being discussed Monday had to do with whether or not a city advisory body -- the Boston College Task Force, an official advisory body to the BRA's Board -- would be kept as a defendant in the case. The judge added to these reasons by further pointing out that the current year's docket is ending later this month, so that the continuation of the case will almost certainly be passed on to another judge in 2010. She put a deadline of next Monday for the parties to file motions both on whether or not she should be recused and whether or not she should rule on any of these three motions before the court. And, no, Jan Schlictmann did not make a court appearance Monday for the plaintiffs. During Monday's hearing, Judge Roach suggested that one possible ruling the court could enter would be to remove the task force as a defendant, but still allow the usual discovery process. If discovery later resulted in the task force appearing to be involved in the substance of the case, then they could be re-entered as defendants. This hypothetical outcome would still seem to entail some kind of testimony by members of the task force during the discovery process, regardless of whether or not they are named as defendants. So removing the task force as a defendant in the case might not necessarily get them off the hook. The audio of this snippet -- from the ending of the Hallelujah Chorus of Handel's Messiah -- has been visually recreated by some kid on YouTube. The original audio was titled, "The organist is on crack." The City of Boston unsuccessfully sought, in an emergency motion, to remove the Boston College Task Force from the list of defendants of the lawsuit filed earlier this summer by Brighton residents Patrick Galvin and Mark Alford over the city's review and approval of Boston College's institutional master plan. The city's corporation counsel and outside legal counsel filed a motion on October 19th as an emergency motion seeking to "cure the misjoinder and dismiss as a defendant the improperly named BC Task Force." There are no emergencies in this case. And the court will entertain no further emergency motions. Any and all pending motions shall be heard on the hearing date currently scheduled for 12/14/09. The parties may submit any [revised?] pleadings up until 12/11/09. The original lawsuit named the Boston Zoning Commission, Boston Redevelopment Authority, and Boston College Task Force as defendants. Boston College has filed a motion with the court to enter the case as an additional defendant. According to that notation, the parties are due in Suffolk Superior Court today for a hearing on the matter. Based on the court documents to date that I have inspected, I expect the hearing to address two substantive issues: whether or not to remove the BC Task Force as a defendant in the case; and whether or not to add Boston College as an additional defendant in the case. And assuming the case goes forward, they will probably also begin to set up a series of substantive hearings on various elements of the lawsuit. Boston College filed court papers last month in order to join the lawsuit filed by two Brighton residents against the city of Boston over it's approval of BC's institutional master plan. Those two Brighton residents, Patrick Galvin and Mark Alford, filed their lawsuit with the city in Suffolk Superior Court in July over the city's review and approval of BC's IMP earlier in the year. The Boston Redevelopment Authority's Board voted to approve the IMP in January and the Boston Zoning Commission voted to approve the IMP in May and June; both the BRA and the BZC are named as defendants in the lawsuit. Mayor Thomas Menino signed his approval of the IMP in June, although neither he nor his office are named as defendants. BC was not named as a defendant in the lawsuit, but in the motion they filed with the court on November 9th they seek "leave to intervene as a defendant." They assert in the motion that they meet the requirements "for both intervention as of right and permissive intervention." No response regarding BC's motion had been filed by the plaintiffs with the court as of last Thursday. BC was represented in the motion by legal counsel from the large law firm Goodwin Procter LLP. In their court filings, Goodwin Procter has at least two partners -- Anthony M. Feeherry and Lawrence E. Kaplan -- involved in the case, as well as two other associates. I reported on Friday that the plaintiffs are now themselves represented by counsel which includes Jan Schlictmann, the attorney who was the subject of the best-selling book A Civil Action by Jonathan Harr. The city is in various documents represented by its own Corporation Counsel as well as a smaller firm Rosenberg, Schapiro, Englander, Chicoine & Leggett, P.C -- which appears to have the direct involvement of two of the named partners, Edward S. Englander and Denise A. Chicoine, in the case. With all those lawyers involved in the case -- particularly the partners -- I would be willing to bet that quite a lot of money is being spent on both sides. Two Brighton residents, Pat Galvin and Mark Alford, sued the City of Boston earlier this year over the review process and approval of Boston College's expansion plans into the former St. John's Seminary property. The plaintiffs object to BC's plans to construct athletic stadiums and dormitories on the land, as well as the city's review process of the university's institutional master plan which they assert violated the state's Open Meeting Law. Galvin and Alford filed their lawsuit in Suffolk Superior Court pro se, meaning that they were representing themselves. No longer. As of November 11 -- in documents I saw at the courthouse on Thursday -- they are represented by two lawyers: Orestes Brown and Jan Schlictmann [right]. Yes, that Schlictmann. The guy who was the protagonist of the best-selling book "A Civil Action" by Jonathan Harr and the movie starring John Travolta [left] as Schlictmann. Schlictmann was portrayed in the book as being so obsessed with the Woburn case that he drove his firm (and many of its employees) to the verge of financial bankruptcy -- just before the court ruled in his clients' favor. The book opens with the scene where Schlictmann's Porsche is repossessed on the morning before the verdict. But if people thought Schlichtmann might mellow after being immortalized in Jonathan Harr’s classic piece of reporting and the movie of the same name, forget about it. Schlichtmann is still fighting, only now his adversaries include the Massachusetts Turnpike Authority over proposed toll increases, ink and paint manufacturers over a factory explosion that ravaged a Danvers neighborhood, and former colleagues over legal fees. Schlictmann has not had much success in the turnpike lawsuit. His presence in the lawsuit of Galvin et al. v. Boston Zoning Commission et al., however, seems to be an indication that the plaintiffs are interested in a no holds barred pursuit of their case at every step of the way. This case just got way more interesting. Image of Jan Schlictmann from his page on the Legal Broadcast Network. Image of John Travolta in A Civil Action from imdb.com.